Organic tinctures are concentrated herbal remedies made from organic ingredients. There are hundreds of different types to suit nearly any malady. Vodka is usually preferred because it does not change the flavor of the herbs involved. Each type of alcohol works equally well, so which is chosen is a matter of personal preference. Some organic remedies will require only one type of herb. Other remedies will call for several. This will depend on what condition is being treated and the preferences of the individual or company making the organic tincture. You can be sure, however, if a remedy is labeled 100 percent organic each component is organic as well. The herbs are chopped and placed in a container. Alcohol is poured into the container to cover the herbs and the container is stored in a cool, dark place. The container is shaken each day. In about three months, the mixture is ready to be strained and bottled. It is now an organic tincture. If vinegar is used, the tincture will need to be kept refrigerated in order to protect against bacteria. As you read about tinctures you may come across the term, wildcrafted. What is the difference between organic and wildcrafted? Organic herbs are grown on organic farms. They are produced in carefully controlled conditions and certified by the Food and Drug Administration to be organic. Wildcrafted herbs are those that grow in the wild. They are often considered superior to domesticated herbs when used for medicines. Wildcrafted herbs cannot be certified organic because the conditions in which the plants are grown are unknown and uncontrolled. Another concern to many about wildcrafted plants is that they can be gathered to the point of extinction in an area by irresponsible herbalists. If none of these are available to you locally, you can also find these tinctures online. Read the descriptions carefully and be sure that they say organic in the description. Choose dark bottles over clear bottles when possible as sunlight can make an organic tincture less effective. 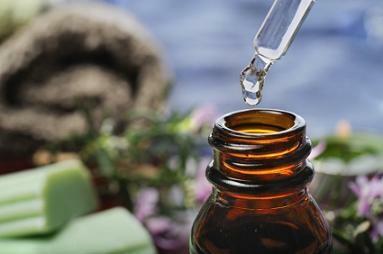 Using tinctures can help you to stay healthy and boost your immune system. When the tinctures are organic, it allows these medications to work in tandem with your healthy lifestyle.